You will love this cute, elegant Blue Damask pattern design! 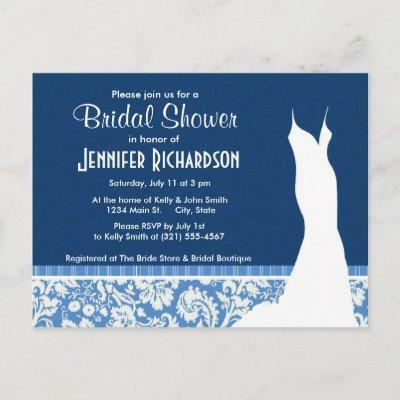 We invite you to our store, Bridal Shower Shop, to view this cool pattern on many more great customizable products, including girly Bride buttons, modern Wedding stamps, and trendy Bridal Shower invitations! Thank you!